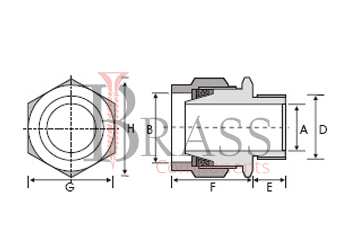 The Range of Marine JIS Cable Glands are manufactured from Brass, Nickle Plated Brass, Stainless Steel, Aluminium or any other material composition as per custom specification and requirements. Marine JIS Cable Glands are manufactured with JIS F8801, JIS 8802 and 8803 Standards. Marine JIS Standard Cable Glands are widely used in range of sealed cabling applications where a weatherproof or waterproof seal is required. IP68 sealing ensure a perfect waterproof seal in different cable management applications. Depend on variety of applications for Marine JIS Cable Glands are available with different types of Cable Gland Accessories including Lock Nuts, Serrated Washers, Earth tag, Reducer, Neoprene washer, Adapter and more. IP68, IP69 Ingress Protection Rating. 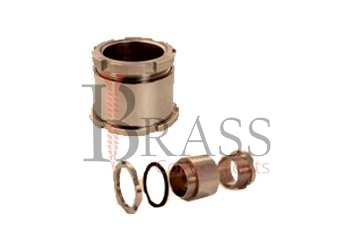 Available in PG, Metric and NPT Threads. Available in variety of sizes and configuration. Additional JIS standards are available. Nickle Plated or Coated for Corrosion resistance. CE, UL and cUL Approved Marine JIS Cable Glands. Provide mechanical cable retention and continuity via armoured wire. Indoor and Outdoor use with all types of braided or unarmoured Marine Electrical Cable Fittings. Provide seal on outer sheath of unarmoured cables. Widely Used for watertight sealing and installation. We manufacture Marine JIS Cable Glands as per Custom Specification and export in Germany, Sweden, Denmark, Norway, Russia, France and other European Countries. For more Information, Please Contact Us or Inquiry Now.